On Monday, Texas’ baseball program was once again listed among the top teams in the nation. Texas has been ranked 19th in Baseball America’s preseason poll for the upcoming college baseball season. Last week, Texas was found in the 21st slot in the preseason poll compiled by D1Baseball. Like in the D1Baseball poll, Baseball America ranked Texas behind Big 12 rivals Texas Tech (No. 8) and Baylor (No. 16). Baseball America, though, omitted Oklahoma State and TCU from its rankings. Both of those two teams claimed a better spot that Texas in the D1Baseball poll. 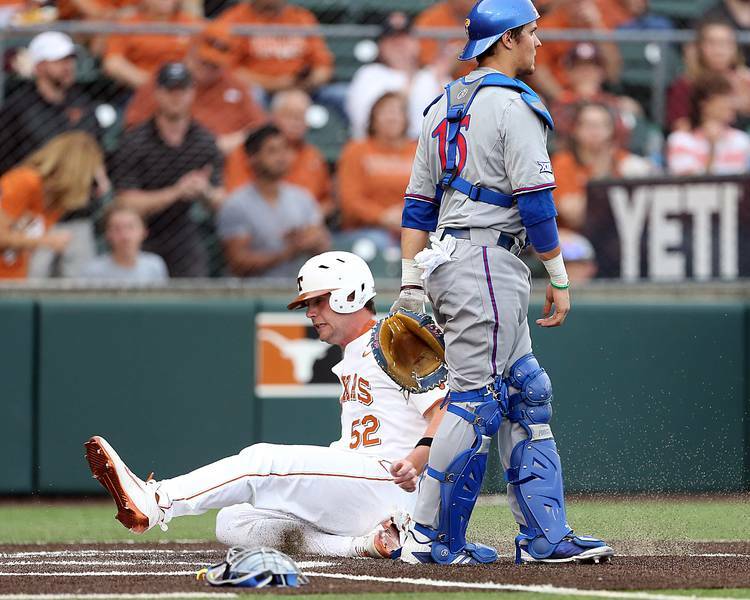 Texas posted a 42-23 record during a 2018 season that ended in the College World Series. The Longhorns also earned the Big 12’s regular-season championship last year. Outfielder Duke Ellis, designated hitter Zach Zubia and pitcher Blair Henley are the UT returnees who earned all-conference honors in 2018. Texas, though, recently lost the services of junior shortstop David Hamilton. A defensive wunderkind who stole 31 bases last year, Hamilton is out for the season after he suffered an Achilles injury in a scooter accident. The first pitch of UT’s season will be thrown on Feb. 15. Texas fans, however, must wait to see the Longhorns at UFCU Disch-Falk Field. After playing its first four games on the road, Texas is scheduled to host Purdue in its home opener on Feb. 22.